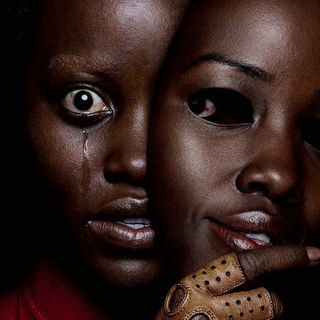 We discuss our thoughts and theories on Jordan Peele's "US"
I'm a sister...lol. Jasper Stone is from Revelation 4:3 (the color of The Most High and the name of my YouTube channel)... But, "Jah" is the English translation. There is no letter "j" in Hebrew. Actually, the letter "j" was the last letter invented only about 3 to 4 hundred years ago. There is a lot to learn, but you and your husband seem very educated and will learn quickly. Just keep note of everything you learn and don't take anyone's word for anything. Do your own research. I'm a huge fan... Keep up the great work. @Angiboo T thank you for the information brother, my husband and I have a lot of studying to do. We both, of course, are still learning. Psalm 68:4 state "Jah" not Yah. Anything J is false i.e. Jesus, Jehovah etc. Also, what about Zechariah 23:8? The 144,000 is the Elect who will be blessed to understand the truth. There are a lot of people teaching a false doctrine, so they won't be counted among the 144,000; but that doesn't mean the rest won't be saved... Again, we'll ALL be saved (Romans 11:26). Also, read Wisdom of Solomon chapter 3:1-9 as proof that Israelites (Black people) are punished in real time... Notice the word "chastised"??? While you're at it, read Wisdom of Solomon chapter 5 where it shows how the world is going to be amazed at our Righteousness. The word Righteous does NOT mean do-gooders... it means HOLY... We are a Holy people and the whole wourld will be amazed that low-lifes like us can be the TRUE chosen seed. The Assyrian captivity was the first captivity of the Northern Kingdom of Ephraim: from 745 to 727 B.C.... but the last captivity was of the Southern Kingdom of Judah dispersed to the four corners of the earth as mentioned in Isaiah 11:12... BOTH Kingdoms will be redeemed in the end (the two Olive Branches) as mentioned in Isaiah 11:13... "ALL ISRAEL SHALL BE SAVED" (read Romans 11:26)... That's a DEEP topic, not too many people know how to break down. Remember... Blacks are punished in real time. 1/3 will die by the sword, 1/3 will die of pestilance and 1/3 will make it to the end... BUT... those 2/3 who die will redeem those left in the end. They will return to fight in the Army of The Most High as mentioned in Ezekiel 37:1-14 (those DRY BONES are NOT Spiritual, they are our deceased loved ones)... Ask yourself this question... why would people who are more righteous than most of us living be condemned instead of some of us who make it to the end??? We (ALL ISRAELITES) will make it into the Kingdom in the long run. Look at Matthew 24:31 where it says that The Most High will send His Angels to gather His Elect... Who do you think those Angels will be??? I believe they will be our deceased loved ones bringing us to a safe place before The Most High BLOWS THIS MFer UP!! !